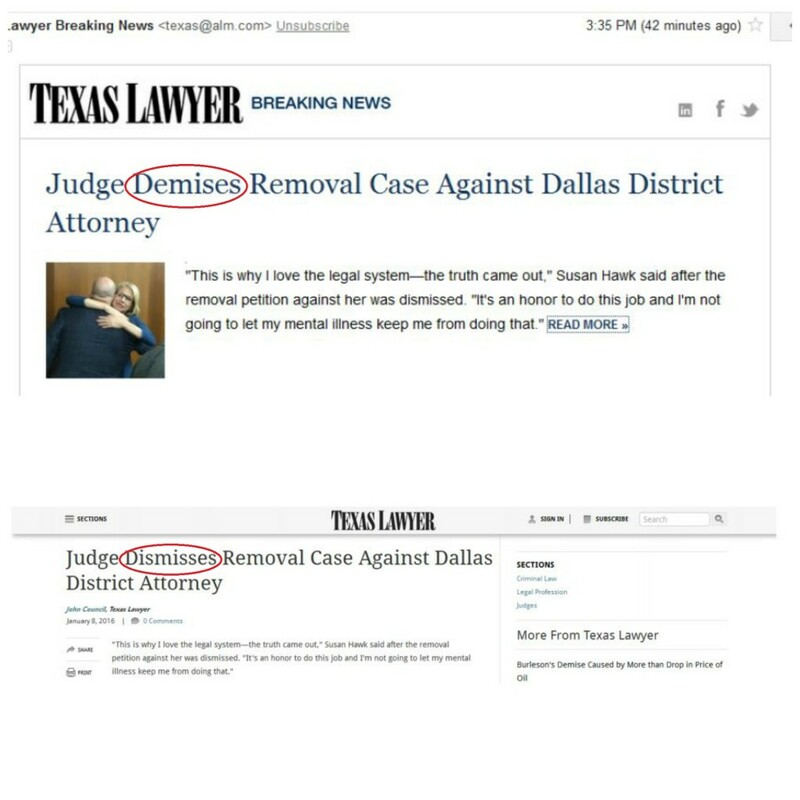 Grammar Giggle – I Guess The Judge Dismissing The Case Is the Demise Of The Case, Right? Comments Off on Grammar Giggle – I Guess The Judge Dismissing The Case Is the Demise Of The Case, Right? 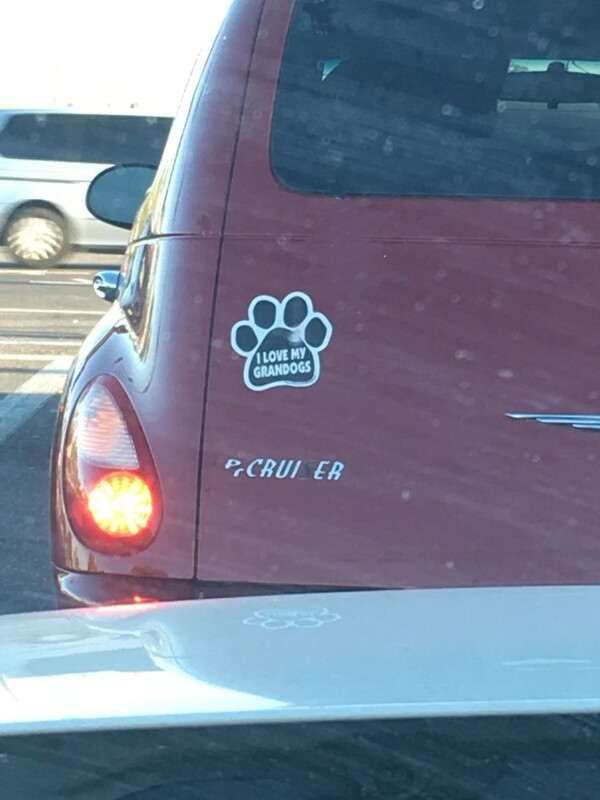 A friend sent these to me. The first is what came in her email and the second is the online–and CORRECTED–version. I guess I’m happy it was corrected, but it should not have happened in the first place. The flyer for a recent fundraising event for one of my grandsons caught my eye, so I checked out the website. All I can say is that they were consistent–it was wrong, but it was wrong in both places. The correct word is “whose.” The word “who’s” is a contraction for “who is” which would not be correct in the sentence. Proofreading Matters–At Least It Did To The Victims Of A Potential Cyber Heist! Comments Off on Proofreading Matters–At Least It Did To The Victims Of A Potential Cyber Heist! Do you really think typographical errors don’t matter much? I read an article recently from The Washington Post about a typo that thwarted a $1 billion cyber heist on a Bangladesh bank. It seems that the hackers broke into the Bangladesh central bank’s system in February and stole the credentials necessary to authorize payment transfers. They used the Federal Reserve Bank of New York (“FRBNY”) to make nearly three dozen hefty money transfers from the Bangladesh bank’s account with the FRBNY to other overseas financial institutions. The hackers were able to make four transfers to accounts in the Philippines totaling about $80 million. The fifth request for a transfer of $20 million to an apparently fictitious Sri Lankan nonprofit group was flagged by the routing bank as suspicious because the transfer request said “fandation” rather than “foundation.” When the routing bank asked for confirmation, the Bangladesh bank was able to stop the transaction. 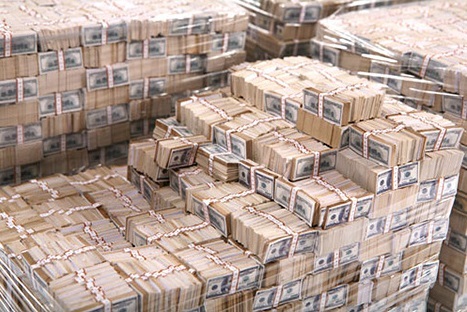 The other requests waiting to be processed—totaling $850 million to $870 million—were also stopped. While it appears there is some finger-pointing going on about who is at fault and threats of international lawsuits, it was a knowledgeable person with obviously good proofreading skills who was paying attention who actually halted a potential $1 billion crime. 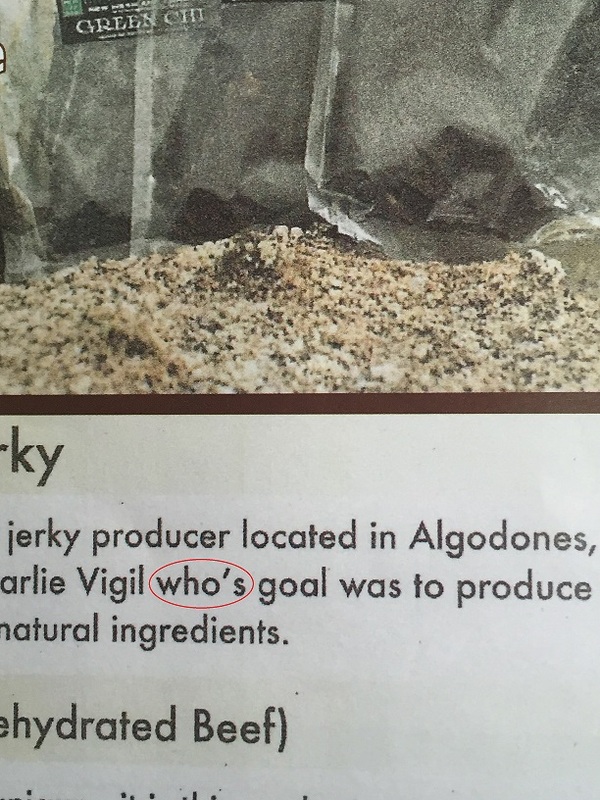 Proofreading matters! Grammar Giggle – Nice Og! Comments Off on Grammar Giggle – Nice Og! The adorable puppy your son or daughter just adopted in lieu of a human baby… in other words, as close to grandkids as you’re going to get for now. Check out this adorable sweater I got for my granddog! I’m taking it to him when I visit my son next month. 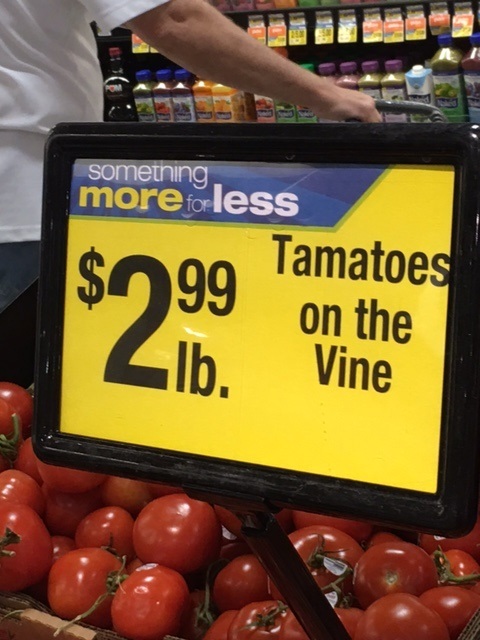 I snapped this picture at my local grocery store recently. So close . . .
Grammar Giggles – She Was Found Where? Comments Off on Grammar Giggles – She Was Found Where? While the subject of this story is not in the least bit funny and I don’t intend to poke fun at a murder, I am quickly losing any respect for our news agencies. I appreciate that they are all trying to get the news out first, but they really should take the time to actually read what they’re putting out there. 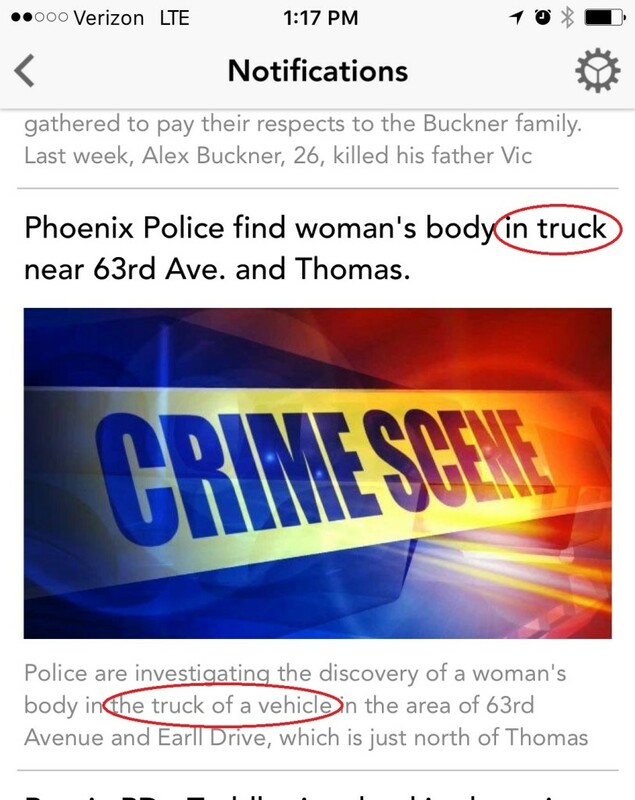 While the headline leads you to believe the woman’s body was in a truck, the story confuses that issue by saying she was in the “truck of a vehicle.” On the plus side, at least they were consistent. 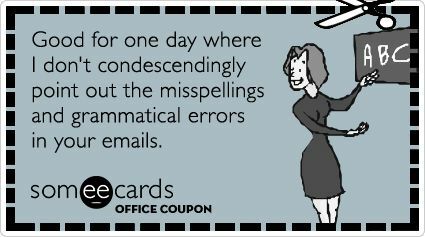 Grammar Giggle – You Earned The Title, At Least Spell It Right! Comments Off on Grammar Giggle – You Earned The Title, At Least Spell It Right! This was on a letter that we received in our office recently. For some reason, people don’t feel the need to proof inside addresses, signature blocks, and pleading party and service information. That information is important, particularly when you misspell your own title in what should be some kind of macro or automatic fill so that it looks the same every time. The same is even more true for email, since that is what we use most. Go and check your signature block right now to make sure it is correct and if you had to change something, let me know. March 4 is one of my very favorite holidays. 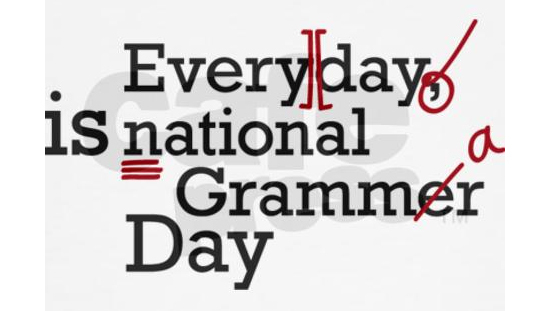 It is National Grammar Day! What could be better than that? Although this picture is absolutely correct. In my world, every day IS National Grammar Day. According to Wikipedia, the holiday was started in 2008 by Martha Brockenbrough, the author of “Things That Make Us [Sic]” (2008) and founder of the Society for the Promotion of Good Grammar. In honor of this holiday just made for Proof That proofreading blog, I’ve added a little something I found on the Internet. So go crazy with your Facebook posts and emails and I’ll try not to judge–today. Tomorrow I will be back on the search for good Grammar Giggles!